Tutorial to create a category index page. Post must have a category (click here to learn how to add a new category). 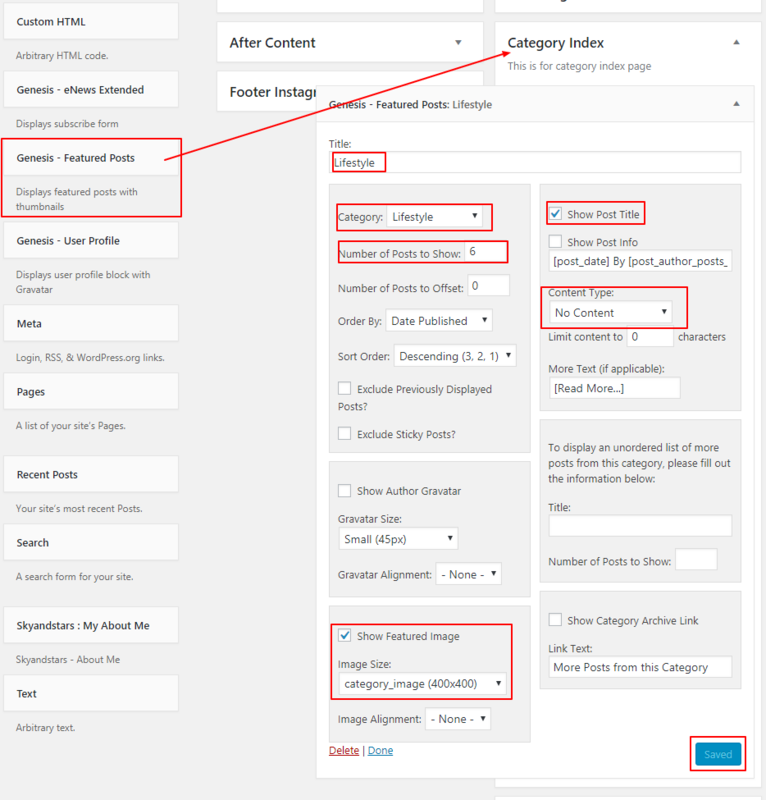 If you do not link your post to the category you want, WordPress will set the default category for you. 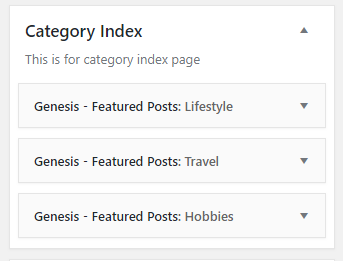 Create a new page, select the template “Category Index” from the Template drop down list on the right panel. Go to Appearance > Widgets, find “Category Index” tab. Drag “Genesis Featured Post” widget from the left and put it there. Name the widget based on your category you want to show, select the category and display maximum 6 items. Make sure the featured image is checked and choose the size you want (in this example, I am using a square image 400×400). Want to add it to your menu? View the tutorial here.